Twenty one years have passed since the occupation of Azerbaijan's beautiful and ancient town Shusha by Armenian armed forces. Shusha, the cultural center and capital of the historical Karabakh Khanate, fell victim to the Armenian aggression on May 8, 1992, when 290 sq. km of Azerbaijan's territory went to the control of the Armenian invaders. On this day, the armed forces of Armenia seized Shusha with the aid of the Soviet 366th regiment, killing and disabling hundreds of innocent Azerbaijani civilians, expelling the entire population of the town, and destroying, burning down and looting numerous cultural, religious and historical monuments. As a result of the occupation of Shusha, 195 civilians were killed, 165 others wounded, 22,000 displaced and 68 taken hostage by the Armenians. Their fate is unknown to this day. 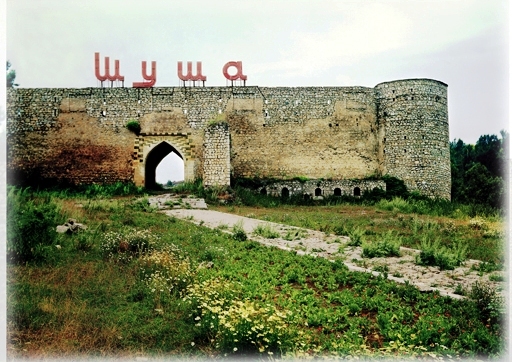 Though the order for the attack on Shusha was signed on May 4, the actual battle over the town began at the end of 1991. Among the Armenians who were involved in seizing Shusha was Robert Kocharyan, who became President of Armenia and governed the country from 1998 to 2008. After the capture of the town, many Armenians came there for looting. Marauders and vandals razed much of the town to the ground. Shusha was not just a paradise, but also a strategic military fortress. Shusha was the most important military stronghold that Azerbaijan held in Nagorno-Karabakh. With the occupation of Shusha, the Armenian invaders completed the occupation of Nagorno-Karabakh and took the Azerbaijani region under full control. As a result of the occupation, a number of historical and cultural monuments in Shusha have been destroyed by the Armenians. These include 279 religious, 104 historical and cultural monuments. The numerous cultural and historical sites seized in Shusha by the Armenian vandals include Gala walls, Ganja gates, Castle of Panahkhan, Library of Panahkhan, Govharaga mosque, Saatly mosque, the Castle of Agabeyim Aga, Caravansara, Khan Palace, as well as Khan Cave, Gakhal Cave, and Shusha Castle. Even the monuments of great personalities like U.Hajibeyov, Bulbul and Natavan were targeted by the enemy. The Armenians destroyed 7 pre-school facilities, 22 schools, cultural, agricultural vocational schools, 7 kindergartens, 8 houses of culture, 14 clubs, 20 libraries, 2 cinemas, 3 museums and a factory of Eastern musical instruments. The Shusha museum with over 5,000 exhibits was looted by the Armenians in 1992. This is treachery against Karabakh's 250-year-long history. Shusha was the most picturesque place in Karabakh. Every visitor was amazed by the beauty of this town, which had been affected by a plethora of key historical events. Shusha, built in line with ancient and medieval town-planning traditions, was divided into neighborhoods. Every neighborhood had a mosque, a spring and a bath-house of its own. Streets had block-stone pavement. With its 129 arc­hitectural sites and 17 neighborhoods, Shusha was a busy town prior to its occupation by the Armenians. Due to the purity and freshness of its air, Shusha held a special place among resorts. The Turshsu summer pastures, the Shakilli, Isa and Yukhari Dashalti (Samilin) springs, and the well-known Jidir Duzu valley were extremely popular with local people and visitors. One of the remotest locations in the former USSR, the famous Jidir Duzu, which is a slightly elevated and horizontal valley in the south of Shusha, was very picturesque. The Khari Bulbul music festival used to be held there every May. Shusha was also famous for the Turshsu resort area, located 40 km from the center on the road to Lachin. Turshsu was remarkable for its healing baths. Before the occupation of Shusha by the Armenian invaders people used to set up tents and spend time there in the summer. Khari Bulbul (orchis), a beautiful and unique flower which grows in the mountains of Shusha, doesn't grow elsewhere in the world. The flower looks as if a nightingale is sitting on it. This endemic flower is also extensively used as a healing herb. Moreover, the natural resources of Shusha have been plundered and appropriated by the Armenians. After the occupation of the town the Armenians have used for their own purposes the natural resources such as facing stone, clay, construction stone, fresh underground waters and mineral waters. Besides, Shusha was a 19th century cultural center. A busy town, Shusha was home to a great number of poets, writers, musicians, actors and people of culture from the Caucasus, the Middle East and Central Asia. At that time Shusha was often described as the Caucasus conservatory and became known as a school of vocal art. In fact, researchers compared the importance of Shusha for the history of Oriental music to that of Italy for Europeans. The first music school was established in Shusha in the 1870s. Shusha was also known for its literary meetings. Shusha is the hometown for dozens of prominent scientists, writers, musicians, military commanders and journalists. There is a saying that one feels sorry if one visits Shusha and if one doesn't. Today older people feel sorry because earlier they saw, but now they are deprived of being able to see the wonders of Shusha, while the youth feel sorry because they have never seen this ancient Azerbaijani town because of the Armenian aggression. The ongoing illegal occupation of Shusha and other territories of Azerbaijan as well as the plight of Azerbaijani civilians expelled from their native lands serve as yet another reminder for the international community to effectively push for justice, which can only be restored once the occupation ends and the displaced people are allowed to return to their homes.